Cyara is the world's market leading provider of an omni-channel customer experience testing and monitoring platform. Founded with a focus on making its customers successful, Cyara enables rapid innovation of the customer experience to achieve better customer outcomes while dramatically reducing the cost of development and testing and minimizing the risk of exposing customers to poor customer experiences. 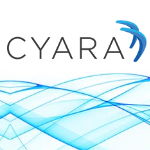 The Cyara Platform provides a foundation for organizations designing and testing the customer experience throughout the testing lifecycle, across all customer interaction media, and across the entire technical architecture. Typically Cyara customers innovate 40 to 70% faster than their peers, and reduce the time and expense for testing their software by a third or more compared to manual testing while providing better test coverage to identify and correct issues in their customer experience environment. In addition to testing, Cyara also provides active monitoring of the customer's environment. From self-service applications through to the agent desktop, Cyara provides leading-edge solutions to some of the most recognizable brands in the world. Every day, millions of flawless customer interactions are delivered by organizations utilizing the Cyara Platform.